Here is someone you do not want to get close to as this little creature is one of the worlds most deadliest snakes. 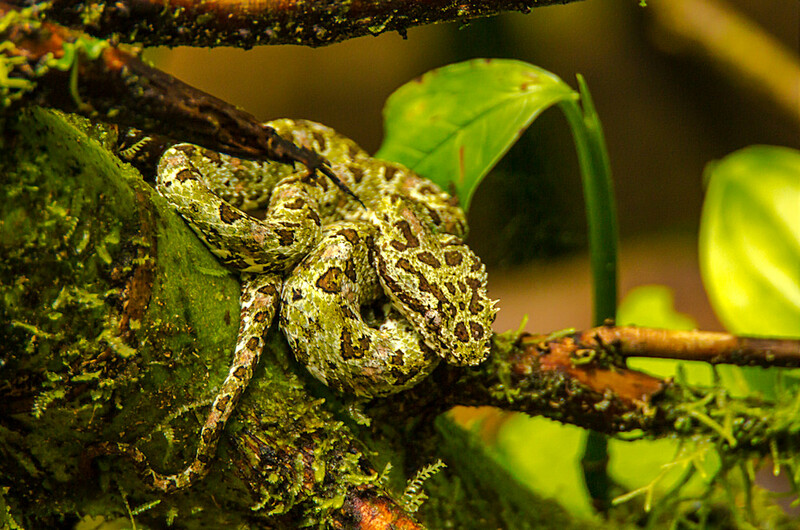 Its a Montane Pitviper and they come in green or brown and are relatively small in size. A good common practice when roaming the Rain Forrest is do not just reach out and touch the trees/ branches around you.